Northwest Surveying Inc. (NSI) has successfully completed many different types of surveys at the local airports including 4 complex AGIS surveys. 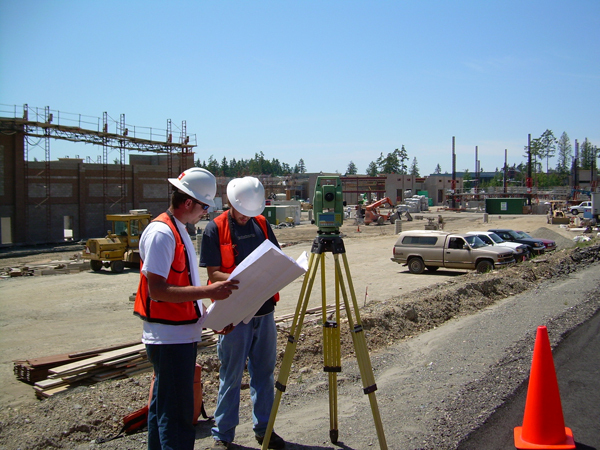 Northwest Surveying, Inc. has filled the role of survey support for more than 40 Construction Engineering & Inspection projects. As survey sub consultant, we have performed design surveys for FDOT, the Florida Expressway Authority and local municipalities. We are proud of our contribution to parks and recreation for the enjoyment of the entire community. We have provided survey support for many drainage projects including several large drainage basins covering up to 70 square miles. A route survey is another name for a topographic survey of a specific corridor selected for a utility. I wish to commend you and your staff for the surveying services afforded us for the SWFWMD Roosevelt Creek Watershed project. Your timely and accurate execution of the survey and data collection tasks has helped our project to maintain budget and schedule. In addition your attention to customer service through open communication, honesty and dedication to quality servi ce has made our team effort a huge success. Again, thank you for a job well done. I am looking forward to working with you on more projects in the future. Northwest Surveying Inc. has performed a number of surveys for me and I have found their work to be cost-effective, responsive, timely, accurate and professional. Based on my experience, our clients have also been satisfied with Northwest's performance based on the limited number of review comments we receive on their submittals. I plan to continue using them and would not hesitate to recommend that others do likewise. -Alan F. Batog, PE of Reynolds, Smith and Hills, Inc.
We have had the pleasure doing business with Northwest Surveying, Inc., for over ten years. We have always found them to be economically priced, prompt in meeting crucial delivery dates and reasonable in making necessary modifications to project surveys. The survey data that they have provided to us has always been of excellent quality, in both format and content, and follows the project scopes we have provided to Northwest.